On Saturday 7th September 2019 Joules will be hosting a charity Sportive. 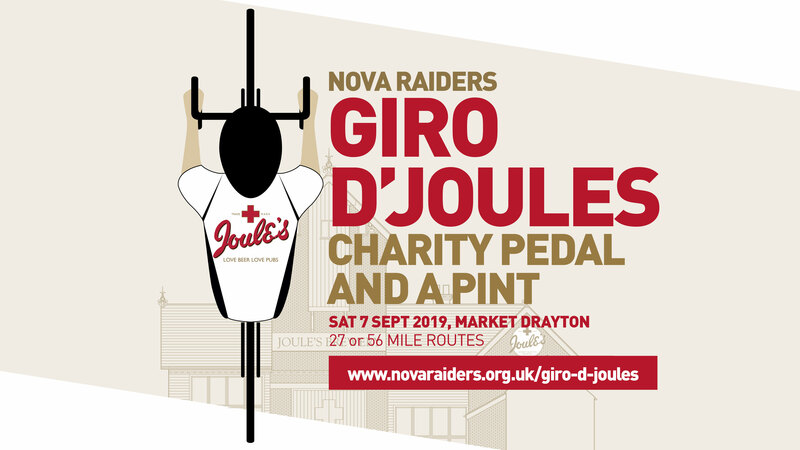 The event will start and finish at the Red Lion (Joules Brewery) Market Drayton with two routes available a 56 mile option and a shorter 27 miles. Both routes head up into Cheshire, with a split at Ash Magna, just before Whitchurch. The longer route skirts the side of Wales, passes on through Malpas, Burwardsley and the Peckforton Hills before providing a stunning view of Beeston Castle. The routes then merge at Aston for the return leg back to The Red Lion for a well deserved pint. Details of the charities we will be supporting will be announced closer to the date. We open for Registration and tea or coffee at 9:00am, with the riders setting off from 09:30am. All routes are fully signed with direction arrows. If under 16 years of age you must be accompanied by an adult and if under 18 need written consent from a parent or guardian. A consent form is available to print here. Online Entry closes midnight Thursday 5th September 2019 or when the event is full. A limited number of places will be available for signing up on the day, priced at £15 for the short route and £20 for the long route.